North East is all about massages, momos and marijuana” is what most people think about one of the most beautiful regions in the country. But why we often end up forming opinions about places without ever visiting them? Why let our biases create beliefs about people we’ve never met? Do you think such a notion about the region that makes for the beautiful seven sisters in India is right? Even though North East tourism is on the rise , quite a few people still think that North East is a remote area and inflicted by insurgency, and thus, never plan to pay a visit. This pre-conceived notion about the region leads to false judgements about the inhabitants of North East. If you think people in North East do not deserve to feel like outsiders in their own country, if you think they should be freed from the undesirable seclusion, the only way to dissolve these boundaries is to travel to North East at least once in your life time. Watch this powerful video to burst your myths about the North East India. 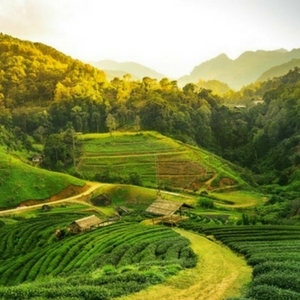 If this video has inspired you enough, here’s a list of eight wonders to visit when you plan a trip to North East India with Thomas Cook’s North Eastern holiday packages. 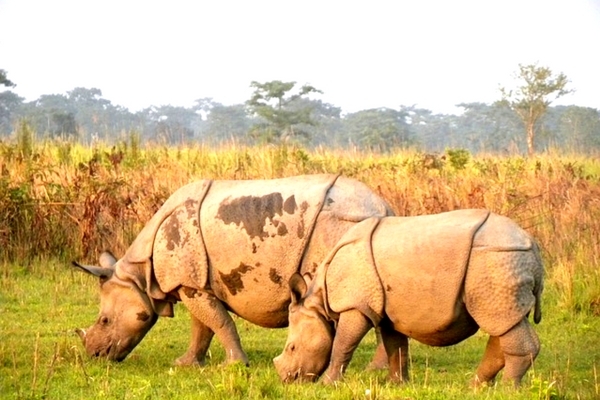 Kaziranga National Park, a home to one-horned rhinos, has largest number of one-horned rhino across the world. This national park is the delight for wildlife-lovers as well as for photographers. It is the best place to spot the rare species like one-horned rhinoceros, elephants, wild water buffalo and swamp deer. Kaziranga is a must-visit spot to experience the wildlife through jeep safari or elephant safari. Living Root Bridges aren’t built but they are grown. There are number of living root bridges in Meghalaya and these bridges grow strong with time. 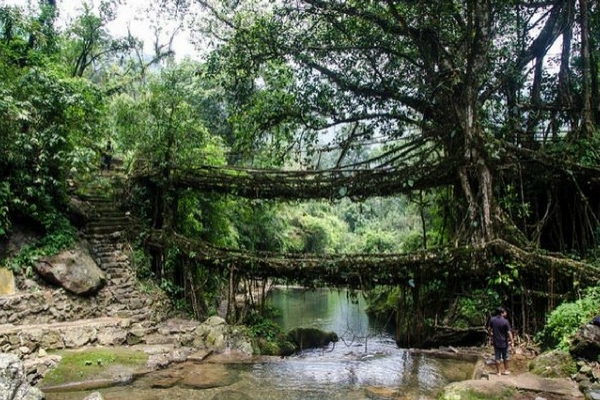 Umshiang double-decker bridge in Cherrapunji, 180-year old bridge, is the most famous among these living roots bridges. Living Root Bridges in Meghalaya are UNESCO World Heritage Sites. 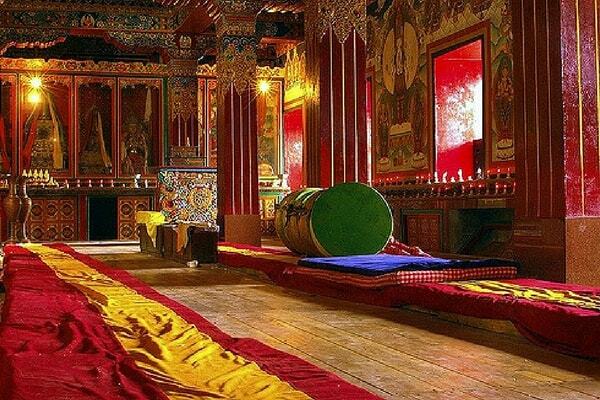 Apart from bring the largest monastery in India, Tawang Monastery is 400-year old monastery. It is located at a height of 3000 m. The monastery is also one of the most important Buddhist sites in the world. Tawang Monastery has different parts inside the building and can accommodate around 700 monks at one time. The huge library has collection of ancient books and age old manuscripts. 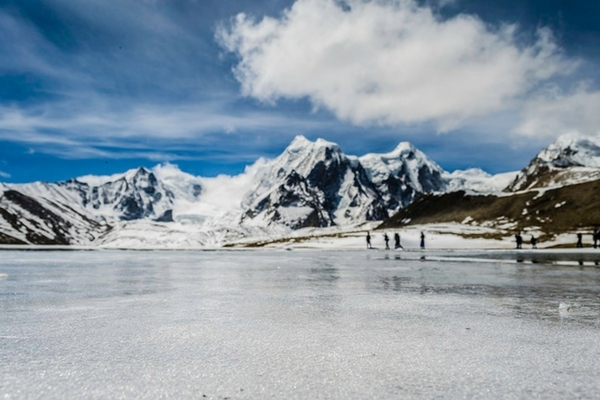 Popularly known as the ‘Crown Jewel of Sikkim’, Gurudongmar Lake is one of the highest lakes in the world. It is located at a height of 17800 feet. The scenic beauty and panoramic view from this lake is breathtaking. The lake freezes completely during the winter and is a delight to watch. 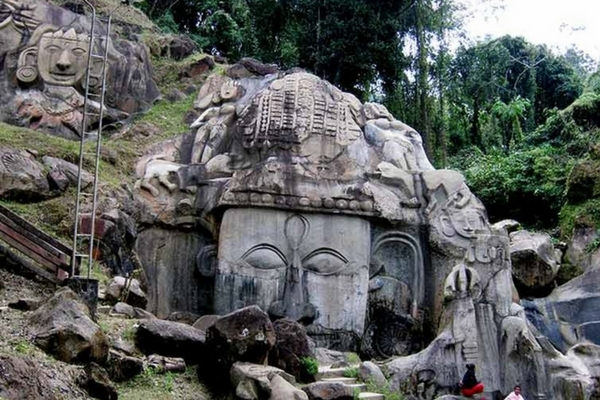 Unakoti hills are ancient rock-cut carvings and stone images of Lord Shiva. It is said that these carvings are 8th or 9th century old. Unakoti Hill is the must-visit spot in Tripura and attracts devotees and tourists from all parts of the world. Rice beer is a popular local beverage. Unakoti is also a good place for hiking and trekking. 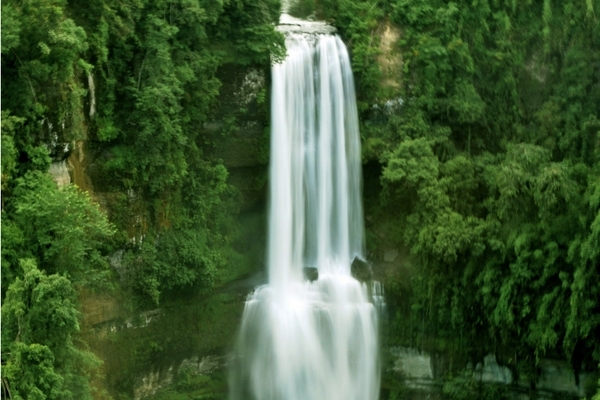 Vantawng Falls, highest waterfall in Mizoram, has a height of 751 feet. Located at a distance of 137 km away from Aizawl, Vantawng Falls is nestled between the valleys. As it is situated inside the forest and difficult to reach, Mizoram Tourism Department has built a watch tower for the tourists. 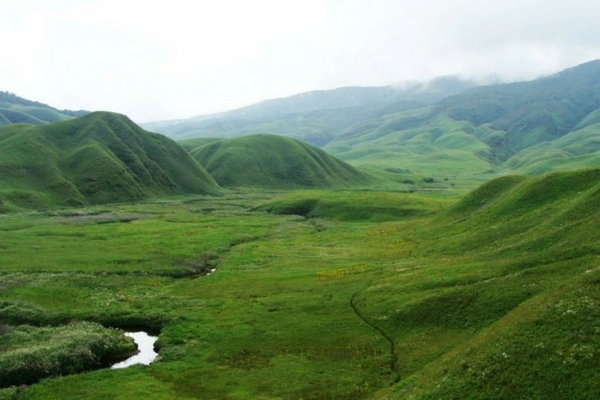 Located at the border of Nagaland and Manipur, the Dzukou Valley is popularly known as the ‘Valley of Flowers of North-East’. Blessed with lush greenery all over, flora and fauna, crystal clear water, visiting Dzukou Valley is one of the best lifetime experience. It is located at an altitude of 2438 m above the sea level. Indian passport user need to acquire inner line permit to visit Nagaland. 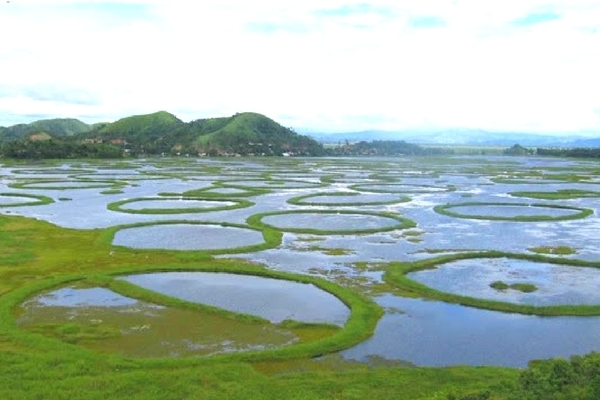 World’s only Floating National Park, Loktak lake is famous for the floating swamps (phumdis). Loktak lake is the largest freshwater lake in North-east. It has various species of aquatic plants, birds, animals including Indian python. “World Wide Save Loktak Lake” campaign was started in the year 2010 to save the lake from deforestation, conservation of rare species and other problems. North is truly a treasure trove for travellers. Hope you travel to this paradisiacal land at least once in your lifetime and we bet that its pristine beauty will call you back! Our North East tour packages will acquaint you everything you don’t know about this magnificently beautiful region. “North East is all about massages, momos and marijuana” is what most people think about one of the most beautiful regions in the country. Wow! North East is definitely so much more than just, massages, momos and marijuana. Great post loved reading it.